We were recently contacted by a teacher at West Rise School to see if we could help them build a “Marsh Rover” vehicle from parts they bought with a grant from the Mars Rovers school programme (see what they did there?). 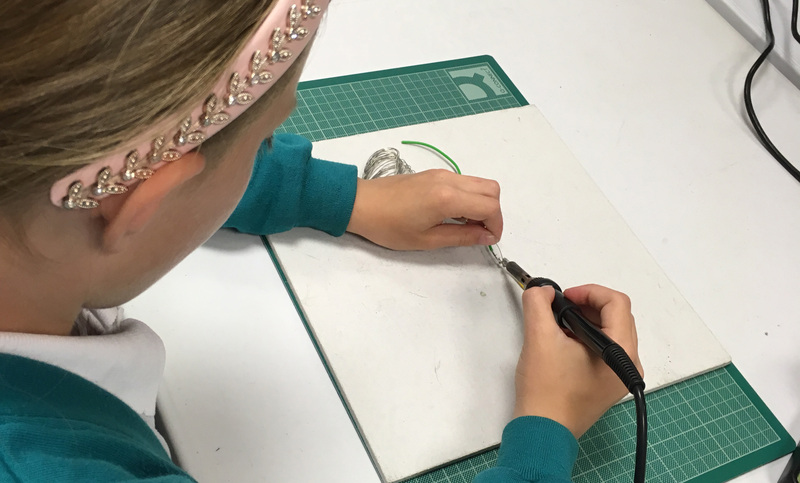 For two terms, young people from years 5 and 6 came to our lab at the college to learn about electronics, controlling motors, measuring and sawing plastic pipes and making our own twisted pair wires. At the end of the programme we’d built the core of the rover but it needs more work to get it running more effectively. We asked the children how they’d like to equip the marsh rover in future and, overwhelmingly, they said they’d like to put a camera on it so that they could capture pictures when they’re able to send it out on a trek. So that’s next year’s club sorted, then!